The Big Horn Home Builders Association (BHHBA) is committed to promoting the highest standards within the building industry! They have given donations to the following local projects: Student tool vouchers, Children’s Center Roof Replacement, Antelope Butte Foundation, Habitat for Humanity, Project Graduation, The Food Group, and Sheridan County Chamber Holiday Dinner. The Benevolent and Protective Order of Elks of the United States of America is one of the oldest and largest fraternal organizations in the country. Since its inception in 1868, the Order of Elks has grown to include nearly 1.2 million men and women in almost 2,200 communities.The Elks are involved in a wide variety of programs, from scholarships to drug education to Veterans Services. Of everything that the Elks do, perhaps nothing is more important than their work with the country’s youth. Since 1917, the Benevolent and Protective Order of Elks has demonstrated its compassion for the veterans of our armed forces through a number of programs and activities, including Sheridan’s Youth Rodeo. Kennon is advancing the field of protective cover manufacturing by applying advanced materials science, new technology, and a team of trained engineers to every project whether it’s for the U.S. military, a hospitalor an electric bike company, or your project! The Sheridan County Chamber of Commerce is the proactive voice of local business, working for the promotion, protection and prosperity of our members. We are proud to contribute to the outstanding quality of life our residents enjoy every day. Through our initiatives, we’re committed to building a stronger business community. 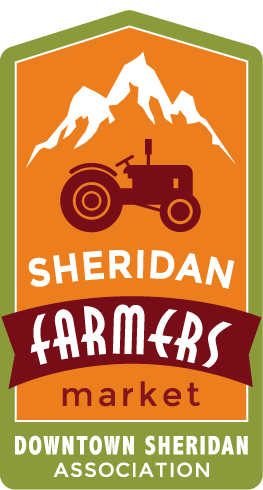 Please use this website to explore the many ways we’re helping make Sheridan County the best possible place to live, work and visit. Since 1973, the Sheridan Senior Center has provided quality services to older adults and their families, helping people live meaningful lives in the community and in their neighborhoods and homes. The primary purpose of the Sheridan Senior Center is to improve the quality of life for senior citizens of all socioeconomic levels and prevent premature institutionalization. Volunteers of America is a national, nonprofit, faith-based organization dedicated to helping those in need rebuild their lives and reach their full potential. Established in Sheridan, Wyoming in 1985, we are fueled by love and compassion, a deeply held belief in human worth and dignity, and an unfailing dedication to the human spirit. All of our programming is about helping those we serve create whole lives.